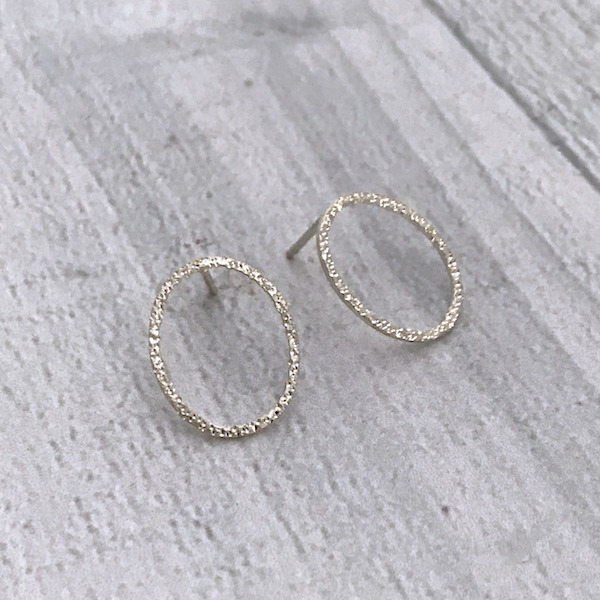 We love the simplicity and sparkle of these earrings, perfect for everyday! The Diamond Dusted collection has been stamped repeatedly with a diamond tip to create a tiny multi-faceted dent that sparkles as it moves - its got the sparkle of diamonds but is solid silver. 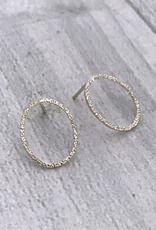 The diamond dusted open oval earrings measure approximately 3/4" long and 1/2" wide diameter.